Air conditioners are part and parcel of modern day construction. Air conditioners are a perfect way to create desirable room conditions, especially during summer. The benefits of air conditioning can however be overshadowed by the costs involved, but you now don’t have to worry as you can now get affordable air conditioning in Los Angeles. If you are planning to have air conditioners in your property, whether the residential house, your business, your office, or even your car, there are a number of costs that you have to plan for. These are the buying price, transportation costs to your place, installation, maintenance, and repair costs in the event of damage. While the buying price is a primary cost which cannot be overlooked and the affordability cost between the highly priced and the lowly priced might not be a significant amount, the other costs involved are a great opportunity to cut down the total amount involved. 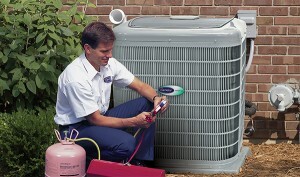 All you need is to get the services of a professional and affordable air conditioning company in Los Angeles. Normally, the highly professional and experienced AC services in los angles are highly priced, is it possible to get professional yet affordable services? Of course. To get this amazing combination, you need the services of American cool and heat. This is a company that offers a wide range of services in the air conditioning industry and covered the entire Los Angeles area. To help you save through not only affordable but also lowly priced air conditioning services, the company offers a range of services from advice of the right air conditioners for your property up to maintenance and repair of any damaged or malfunctioning air conditioners. All these services are affordably priced, but to be able to save big, you don’t need only one service, you need a combination of services. If you are planning to install air conditioners in your property, American cool and heat offers free consultation on the right air conditioners for your property depending on the use. Moreover, to cut some of the costs like transportation of the air conditioners to your property, the company provides free transportation from the purchase location. After installation of air conditioners, maintenance services are a perfect strategy to keep the machines functioning effectively moreover, a stitch in time saves nine. Through effective maintenance services, you will get to prevent any advance damaged to the machine. So, my contracting American cool and heat you are not only getting affordable air conditioning los angeles services, but also an all under one AC company los angeles. Contact the company today and get a customized quotation of the services you are looking for. American cool and heat covers residential and commercial units and if you need repair services, then you can also depend on the company for emergency response. American cool and heat, you one stop shop for air conditioning needs in Los Angeles!